If the new avatar of the real estate regulatory bill that was cleared by the Cabinet recently is enacted, it could push real estate developers to rely more on joint venture projects with land owners because they will have lower availability of surplus cash to buy land, said India Ratings and Research (Ind-Ra). 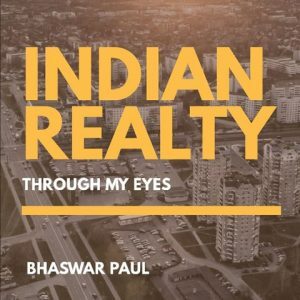 India Ratings said it believes that the provision which prohibits presales until the land is in possession and all approvals are in place, along with the provision to escrow a portion of sales proceeds will lead to higher reliance on joint venture projects and consequently the much needed elasticity in real estate prices. “The provision in the draft bill to escrow a portion of the sales proceeds for construction purposes will ensure timely completion and stop the diversion of funds to purchase land or for the launch of other projects. The sector is now closer to getting a regulator,” said Vinay Betala, associate director, India Ratings & Research, which is a Fitch group company. He said that the provision regarding escrowing a portion of the sales proceeds for construction purposes will also temporarily reduce liquidity and hence debt servicing capability of the real estate developers during the phase of transition to the new system. “The surplus cash available to companies to purchase land is likely to reduce and this may result in the higher reliance on joint venture projects with land owners. Since all approvals need to be in place prior to project launches, it will reduce delays and ensure timely implementation of projects,” Betala said. During the transition phase, cash flow cycles for developers may get stressed since they will now have to secure all approvals prior to launch and also create an escrow account. “This is likely to reduce the number of project launches initially and supply is likely to come down which means lower inventory in the short run. However in the steady state under the new regulation, new launches will happen with developers’ own cashflows, resulting in a responsible industry where the financial capacity of the developers will determine the extent of launches. Consolidation may be on the horizon as smaller players lose ground to a few top developers with good track record of delivery and compliance,” he said. While the bill puts the onus of timely delivery and completion of projects on the real estate developer, it does not provide for a roadmap in the case of delays due to changes in the regulations and laws as well as delays in clearances, Betala said. India Ratings said it believes that if the bill is enacted, it will lead to protection of the buyer’s interest and a substantial increase in transparency in the real estate development sector. Various provisions in the bill such as prior registration of projects and agents with the regulator, information transparency about booking and construction, launch of projects only post receipt of all approvals and the restriction on change in plans without consent of the buyers are positive for buyers. The provision requiring escrowing of a portion of sales proceeds for construction purposes will be especially positive for buyers, as this will stem the diversion of funds by builders for other projects and improve timely implementation of projects,” it said. The efficient implementation of the Bill will lay out the landscape to improve buyers, lenders and investor confidence, which is crucial for long-term growth capital for developers, India Ratings said.